Fortunately, as a relatively gun-friendly state, Tennessee does not have too many laws keeping law-abiding citizens from getting firearms and defending their freedoms. Like many states that support your Second Amendment rights, Tennessee does not require you to have a permit in order to buy a handgun. Before you head out and expect to just grab a Glock off the shelf and walk out the door, there are still some basic requirements you’ll need to meet. Unlike other states, however, the background check is done by the state of Tennessee, rather than the FBI. The only difference this makes to you as a firearms purchaser is that the process may be faster if there aren’t as many people in the state making purchases, since you are not competing with the rest of the country! For those of you paying attention, you’ll notice the requirements say you have to be 21 or older, but you are not allowed to own a handgun if you are under 18. This is because the basic requirements are the federal requirements set by the US government. The state of Tennessee, on the other hand, only requires you to be 18 or older to buy a handgun. So what does this mean? If you don’t mind buying a used handgun, you can purchase your pistol through a private sale, and only need to be 18 or older to do it. If you want to buy a brand new gun from your local gun store, you will have to wait until you turn 21, since they are federally licensed firearms dealers, and must follow the federal laws on firearms. If you’re under 18, no worries! Even though you cannot legally buy a handgun in the state, there are still situations where you can have and use handguns! Travelling to or from any of the situations above, with an unloaded handgun. While you’re picking out your next handgun, you should also think about adding a rifle or shotgun to your firearms collection too! Buying a long gun is just as simple as getting a handgun, with the requirements actually being even more lenient! Just like with handguns, if you decide to buy your long gun from a private individual, then you can skip the background check requirement. Once you’ve got your firearms in hand, you will probably want to show it off around town! If you just want to show off your guns, you’ll still need a permit to carry a gun openly with some exceptions below. If you want to carry concealed, you will need to get a permit too. 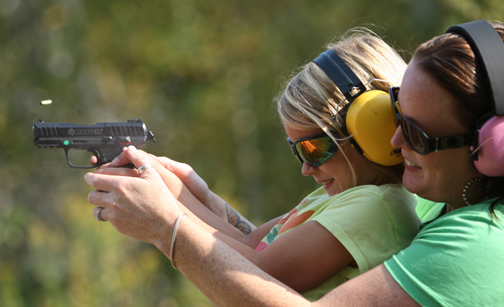 The process is relatively involved, so we’ve got a dedicated Tennessee CCW Laws section that walks you through all the steps to getting a CCW permit, as well as the additional laws you’ll need to pay attention to once you start carrying concealed. For anyone interested, hop on over after you’re done here! 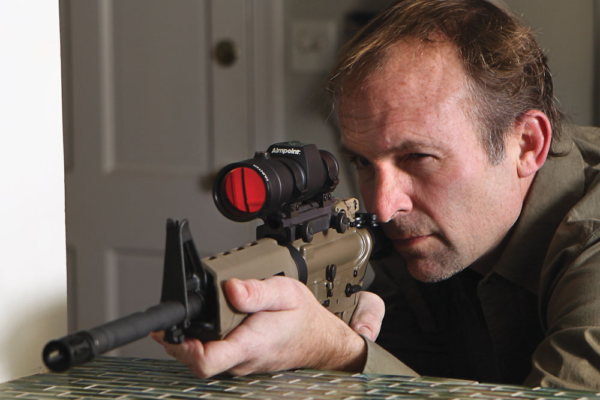 Protecting your livestock from predators (but you can only carry a rifle or shotgun for this). Like most gun-friendly states, Tennessee has self-defense laws on the books allowing you to use deadly force to defend yourself in certain situations. One of the most common self-defense laws is what is known as the “Castle Doctrine”. Under this law, you can defend yourself and others when you are at home, i.e. your “castle”. Specifically, as long as you have a reasonable belief that someone illegally and forcibly entered your home, business, or vehicle, and was going to cause imminent death or serious bodily injury to you or another person, then you are justified in using deadly force against the person who entered the home, business or vehicle. It is important to keep in mind, however, that you have to be in the home, business, or vehicle that is broken into. If someone breaks into your house while you’re sleeping, and you reasonably believe they intend to cause you harm, then you can use deadly force to keep that harm from happening. If, however, someone breaks into your car in the driveway while you’re sitting on the couch watching TV, you cannot start shooting at your car to stop the person. There was no reasonable way to think that a person stealing your car would cause you harm inside your home. If they drove the car through the front door, then that would be a different issue. Beyond being able to defend yourself while at home, Tennessee also allows you to use deadly force to defend yourself and others while outside of the house as well. As long as you are in a place where you are legally allowed to be (i.e. a restaurant, but not the employees-only areas), and you reasonably believe there is an imminent danger of death or serious bodily injury against you or someone else, then you are justified in using deadly force to stop the threat. And with that, we’re done! 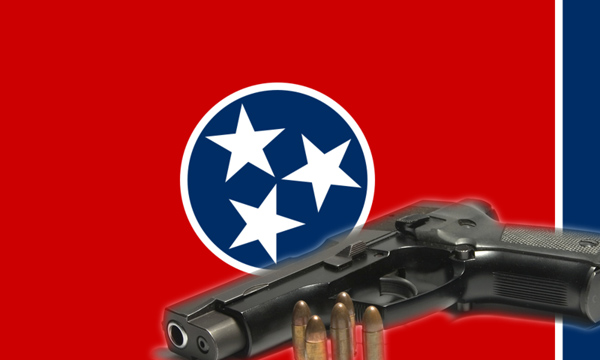 You now know everything there is to know about gun laws in the great state of Tennessee! If you are interested in getting that CCW permit so you can open carry while running errands around town, be sure to check out our Tennessee CCW section for all the info. If you want to start smaller, a gun cabinet, or even just a decent handgun safe may be a good investment, so all those rifles can have a quiet place to rest after a busy day at the range.